For the last three seasons, the Yankees have had one of the worst first base situations in baseball. Greg Bird’s injury history has a lot to do with it. The team is 27th in first base WAR since the start of 2016 with Bird missing all of 2016 and parts of the last two seasons. While the team still didn’t get elite production at first last season, they were middle of the pack thanks to the unexpected mashing of Luke Voit. The Yankees were 16th in 1B WAR last year and Voit produced 1.9 of it in just 39 games. However, Voit is far from a sure thing. He had a remarkable 148 plate appearances last year and some projections are bullish on his production, as Bobby noted recently, but is he really a middle-of-the-order masher? There’s a strong chance he’s just a flash in the pan. 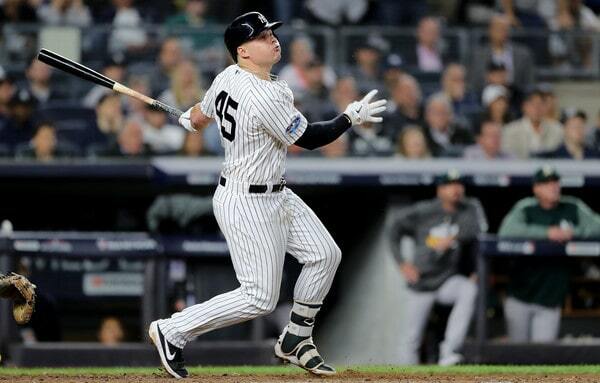 And if Voit is a flash in the pan and Bird can’t get back on track, what do the Yankees do? What’s the backup plan? Certainly, they’ll each get every opportunity to win the job, particularly Bird as the lefty-power hitter the lineup needs. But what’s the backup plan? That’s worth trying to suss out. When the Yankees signed LeMahieu in January, it was with the idea that he would be a multi-positional player who could fill in all around the infield. In theory, that’s great. He’s played all the positions before … in 2014. Since 2014, LeMahieu has been a Gold Glove second baseman and nothing but. He hasn’t played another position and it’s a tremendous question mark whether he can maintain his value as a steady glove when moved to the corner infield. Would his range be a real asset at first? There’s even the question whether his unfamiliarity at first could make him a negative there. The fielding questions come long before you dive into his hitting. Outside of his batting title in 2016, he’s been a mediocre hitter and worse outside Coors Field. That sounds like more of the same from what the Yankees have gotten at first base. In that doomsday scenario, Andujar would still need to play third base. But let’s say the team can shift things around and Andujar becomes the backup at first base. Can he even play the position? Andujar’s foibles at third base are well documented. He struggled on reads, was slow in making throws and didn’t have the proper footwork, leading to errors or balls skirting through the infield. Moving him down the defensive spectrum to first base eliminate some of his throws but places him back into an unfamiliar spot with balls coming at him just as quick. In terms of scooping balls at first, he can’t be too familiar, though that’s hardly a deal breaker after watching Voit butcher a few throws. Andujar can at least hit the part at first base, but it doesn’t sound like the team is too keen on trying him opposite the hot corner. In his introductory spring press conference, Aaron Boone shied away from committing to Andujar playing any first this spring, so thrusting him into action in the regular season becomes almost out of the question. On the active roster, Gary Sanchez and Austin Romine have first base experience in the majors. Sanchez only played three innings there in 2017 and didn’t look all that comfortable. Romine rated well by UZR in 80 innings across 2016 and ’17, but he doesn’t hit at a level of an everyday player. Aaron Judge and Giancarlo Stanton are likely destined for first base and DH duties late in their career but not in the short term. Both play a capable corner outfield at this stage and neither has first base experience. In the upper minors, there’s no intriguing prospect. Mike Ford and Ryan McBroom have each hit well in Trenton and Scranton over the last couple years, though each is past prospect status in their late 20s. 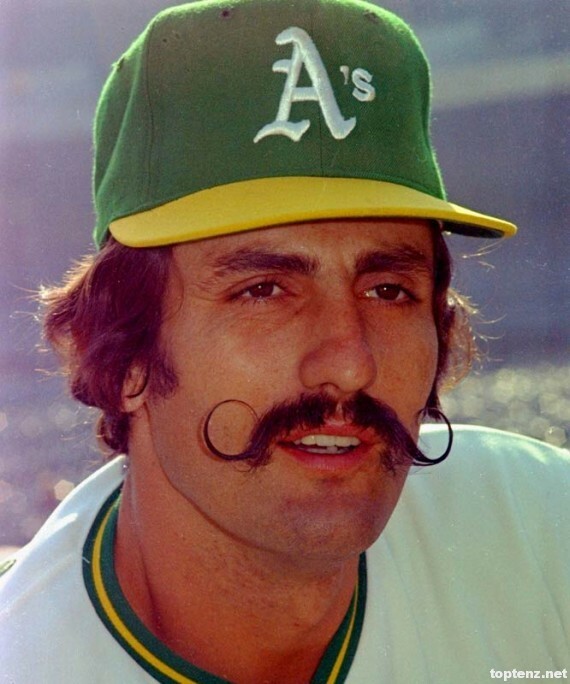 Could either go on a Voit or Shelley Duncan-style streak in the Majors? Sure! But sustained success is questionable, even if Ford could give you some two-way dreams. If all else fails, what about outside the organization? There was one big fish — Paul Goldschmidt — on the trade market this offseason and he’s been reeled in by St. Louis. The rest are slim pickings. Free agency doesn’t do much better. Brad Miller is three years removed from a 30-homer season and hasn’t been all that productive since in addition to some fielding woes. Logan Forsythe played a little first for the Dodgers the last two years, but he hasn’t hit enough to justify a signing. Beyond them, want a flyer on Logan Morrison? Hanley Ramirez? Meh. By July, there might be a few more first base options popping up. A Wilmer Flores or Justin Bour might be available, as could a reunion with new Marlin Neil Walker. The only name that stands out would be Giants first baseman Brandon Belt. At 30, Belt is no longer a spring chicken and has struggled around injuries since his 2016 All-Star appearance, albeit while still posting above-average numbers. His plate discipline and glove play in any park and his lefty bat might play especially well at Yankee Stadium. He’s signed for three more seasons at $17.2 million per year, so he wouldn’t come cheap. If the Yankees are going to finally get better-than-average production from first base, it’s going to be Voit or Bird. The team’s other options are few and murky at that, so riding it out with that combo is the hand the Bombers are forced to play. It might turn out great! Bird is finally coming off a healthy offseason and Voit could be for real, at least to an extent. But even if the Yankees need to carry a less-than-stellar first baseman, they can survive just like they have the last few years. Bird and Voit were key down the stretch the last two years and a power-hitting first baseman certainly helps, but it’s hardly a requirement for winning a championship. Still, it’d be nice if it works out. Spring Training is underway and that means two things. One, baseball is back! Hooray for that. And two, prospect ranking season and projection season have arrived. We’ve already seen a ton of prospect rankings. Earlier this week, Dan Szymborski released his ZiPS projections for the 2019 Yankees. The fancy graphic above shows the team’s WAR projection by position. Spoiler. The Yankees project to be very good. I don’t think we needed ZiPS to tell us that. Obligatory reminder: Projections are not predictions. They are an attempt to estimate the player’s current talent level. There are more projection systems out there than I care to count and they all go about it in different ways. Is one better than the other? Eh, not really. ZiPS is my preferred projection system so that’s what I’m going to write about. Here are five things that stand out to me about the 2019 Yankees ZiPS projections. 1. LeMahieu should play over Tulowitzki. Not sure you need a projection system to see this. Tulowitzki hasn’t played since July 2017 and, the last time he did play, he wasn’t very good. He hit .249/.300/.378 (79 wRC+) in 66 games before getting hurt. Also, Tulowitzki is 34 now. Even if he were perfectly healthy, he’s at the point where you’d expect age-related decline. Aren’t teams avoiding free agents this age? Not when they’re essentially free, I guess. ZiPS pegs Tulowitzki as a below-average offense (77 OPS+) and league-average defense (+0 runs) player who projects out to +0.9 WAR per 600 plate appearances. It has LeMahieu as a below-average hitter as well (93 OPS+), but not that far below average, and it likes his defense too (+5 runs). The total package projects out to +2.2 WAR per 600 plate appearances. That is not an insignificant difference. Not in what could be a tight AL East race. I totally understand why the Yankees are rolling the dice on Tulowitzki. I don’t understand why they’re seemingly so dedicated to him as their starting shortstop. “We’re planning on him playing shortstop and focusing solely there,” said Aaron Boone last week. In a perfect world the Yankees would give Tulowitzki a look in camp and a few weeks in the regular season. If he performs well, great, keep him. If not, I hope they don’t hesitate to move on. Not with LeMahieu ready to step in. ZiPS has never been all that high on Greg Bird — it projected him for +1.9 WAR total from 2017-18 — and this year it projects him for a .224/.317/.444 (101 OPS+) line and +0.6 WAR in 350 plate appearance. Probably not good enough to start at first base for a contending team, in other words. First basemen collectively hit .253/.333/.438 (112 OPS+) last season, their worst season since 1953 and fifth worst season on record. They (relatively) stink right now. Voit’s projection is middle of the pack relative to the rest of the league. For the Yankees, middle of the pack at first base would be a massive upgrade over the last three years. * For what it’s worth, Szymborski says the bullpen projection would’ve been +8.3 WAR had the Yankees kept David Robertson rather than sign Adam Ottavino. Zack Britton (+0.8 WAR projected) over Robertson is the one that irks me though, not Ottavino (+0.9 WAR projected) over Robertson. Bullpens are notoriously volatile but that doesn’t reduce the value of having high-end talent. Ottavino is more likely to be an above-average setup man this season than, say, Joe Harvey. Britton is a better bet to be a high ground ball lefty than Stephen Tarpley. When you’re the Yankees and you can throw money at the best available players, you should do it, and they did it with the bullpen. No, the bullpen is not guaranteed to meet (or beat) projections. ZiPS tells us they have an awful lot of relief talent though, and I’d rather bet on expensive talent than cobbling together seven or eight cheap arms and hoping for the best. 4. Does Green’s projection match reality? The best individual player projection in that stacked bullpen belongs not to five-time All-Star Aroldis Chapman or high-priced free agent Zack Britton. It belongs to Chad Green. ZiPS pegs Green as a true talent 2.70 ERA (2.77 FIP) pitcher with great strikeout (30.7%) and walk (6.4%) numbers. I have to think his +1.7 WAR projection is among the very best for relievers around the league this year. Same velocity, same spin, fewer whiffs, better contact allowed. It should be noted Green’s fastball still had a much better than average whiff rate (20.5% league average) and expected wOBA allowed (.347), but the pitch was not as effective as it was a year prior. Watching him pitch, it seemed to me the book was out on Green. Hitters knew they were likely getting a fastball and they geared up for it. 5. Projections as a measure of depth. I like using ZiPS to estimate each team’s depth. Last year the Yankees had 27 (!) players projected for at least +1 WAR. I know a +1 WAR player isn’t all that exciting, but when you have a lot of them, your internal replacement level is pretty high. It means you have some good players stashed in Triple-A. You’re not scraping the bottom of the barrel when you need an injury replacement. This isn’t a perfect measure because ZiPS doesn’t worry about doling out playing time (are Jed Lowrie and Todd Frazier both really going to get 450 at-bats?) and the timing can be not great (Edwin Encarnacion was still with Cleveland when the Indians ZiPS were released) but it’s a good ballpark estimate. I’m surprised the Yankees are only tenth in +1 WAR players, especially behind teams like the Twins and Diamondbacks. Huh. Only the Cardinals and Mets have more +2 WAR players. They have 13 apiece. With the farm system thinned out a bit, especially at the upper levels, the Yankees don’t have quite the +1 WAR depth as the last two years. The top of the roster is very strong though, and the Yankees have good depth, at least according to ZiPS. All offseason long the focus for the Yankees has been pitching, pitching, and more pitching. Starters, primarily, but also bullpen help as well. And they need a Didi Gregorius replacement too. Almost everything we’ve seen and heard this winter has revolved around pitching and a middle infielder to replace Gregorius. That’s pretty much it. Despite positional uncertainty, we’ve heard basically nothing about the Yankees looking for first base help this winter. Nothing other than Brian Cashman essentially shooting down speculation the Yankees could sign Bryce Harper to play first base. That has been the extent of the team’s first base rumors this offseason. Cashman saying Harper is a non-option at the position. At the moment the Yankees are slated to go into next season with Luke Voit at first base and Greg Bird trying to reclaim the position. Cashman and Aaron Boone both kinda sorta indicated Voit will be the starter next year during their end-of-season press conferences, but stopped short of calling him the starter outright. At the very least, Voit’s late season performance has earned him a long look in Spring Training. I am forever skeptical when it comes to 27-year-old rookies, especially when they’re right-handed hitting first basemen, but the Yankees owe it to themselves to find out whether Voit is a late bloomer a la Nelson Cruz and Jesus Aguilar, you know? As for Bird, who knows? He’s now into his arbitration years and the idea that he’ll be a left-handed hitting complement to the right-handed Aaron Judge and Gary Sanchez is fading with each injury. That said, it wouldn’t surprise me to see him wrestle the first base job way from Voit at some point next year. We’ve seen Bird do some great things. Not often enough, but we’ve seen flashes. Given the lack of rumors to date, the Yankees seem to believe they’re set at first base with Voit and Bird. Mike Ford and Ryan McBroom are the Triple-A first base depth and both were just passed over in the Rule 5 Draft, so the rest of MLB doesn’t view them highly. Voit and Bird it is. Three things about this. 1. There’s only room on the roster for one of these guys. A Voit/Bird platoon isn’t going to happen. I mean, it might, but probably not. The Yankees have fully embraced the eight-man bullpen/three-man bench lifestyle and using two of those three bench spots on a backup catcher and a first base only guy doesn’t make much sense, especially since the other first baseman is another first base only guy. It really limits roster flexibility. The Brewers aren’t rebuilding but we should include Eric Thames in here seeing how he’s stuck behind Aguilar and also Ryan Braun, who’s started playing first base. Thames as well as everyone listed above would be a rental pickup. No contract obligations beyond 2019. If necessary, the Yankees shouldn’t have much trouble finding a first baseman at the deadline, at least in theory. 3. The Yankees have offense to spare. Even with the relatively unproven Voit at first base and Tyler Wade penciled in as Sir Didi’s replacement, FanGraphs projects the 2019 Yankees as the second highest scoring team in baseball. The run prevention is expected to improve next year with J.A. Happ and James Paxton replacing Sonny Gray and the fifth starter parade, so, in theory, the Yankees can roll the dice at first base. I don’t love this line of thinking, but the Yankees are in position to try Voit and Bird at first base, and see what happens. Maybe Voit is actually the next Cruz or Aguilar. Or maybe Bird manages to stay healthy and hit. If it happens, great. If not, well, the Yankees have enough offense to get by, and there should be plenty of first base options available in July. Point is, the Yankees can afford to be patient. This current free agent class is really thin on first base help and that probably helped convince the Yankees to commit to Voit and Bird. The best free agent first baseman on the market this winter was probably Steve Pearce. Had Abreu or Paul Goldschmidt or Matt Carpenter or someone like that been a free agent this offseason, I imagine we would’ve heard much more about the Yankees looking for an upgrade at first base. Instead, the free agent market is mostly barren, and Voit hit well enough (more than well enough, really) this past season to buy himself another look next year. The Yankees were in this same spot with Bird a few years ago, right? He performed well late in 2015 and it was enough to convince the Yankees they didn’t need to import first base and DH depth behind Mark Teixeira and Alex Rodriguez. Bird was the guy. That didn’t work out, unfortunately. First base has been a black hole in the Bronx since 2015. From 2016-18, the Yankees received a .230/.306/.426 (95 wRC+) line from their first basemen. Among the 30 teams that ranks 28th/26th/25th (26th). First base has been a real problem since Teixeira’s (and Bird’s) last good season in 2015. And yet, the Yankees seem content to go into next season with Voit and Bird at the position. There have been very few first base rumors this winter. Sitting out the first base market this offseason could very well — and very quickly — prove to be a mistake. I would stop short of calling it a potential colossal mistake because there is always first base help available, but the Yankees are taking a bit of a risk here. They’re using their resources (payroll space, trade chips, etc.) to address other needs and winging it at first base. There’s still plenty of time to make a move, but right now, Voit and Bird are the answer.